Friday greetings to you, it's Kathi here today to host the blog today. 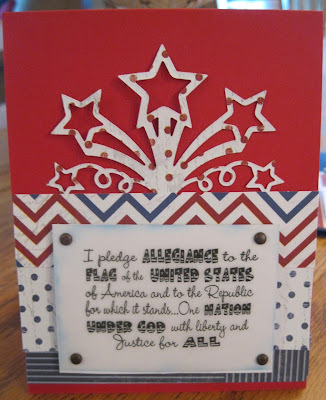 I'm playing along with our Challenge theme for July - Red, White and Blue! I designed these projects using pieces from the July Club Q kits. I make several projects with the supplies. 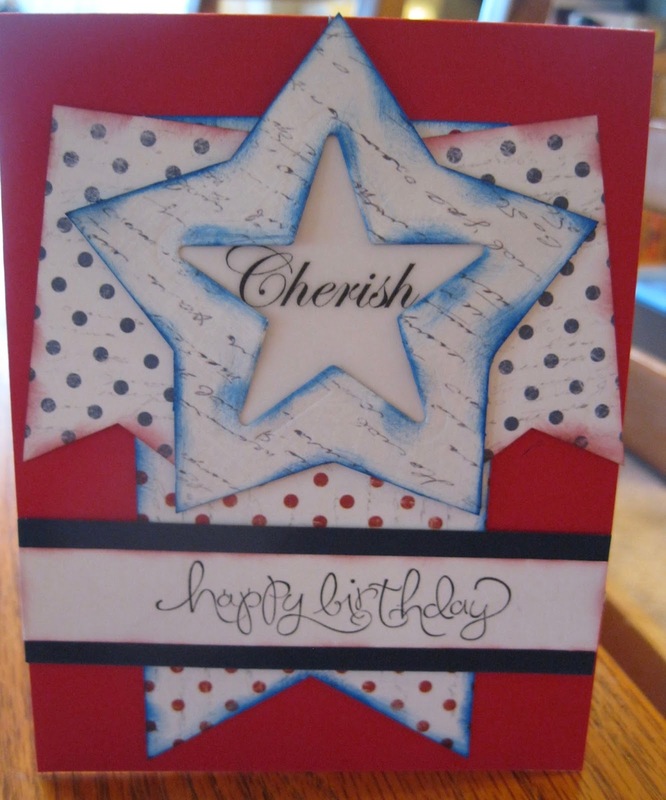 First, here is a double page 12 x 12 layout with a festive center piece. The sentiments are Quick Quotes Itty Bitty Box of Quotes and from from my stash. I layered several layers of papers to create a sturdy coaster. I punched out a star in the center of each star to expose the patterned paper beneath, then glossy accents was then added to the center star. Each coaster was distressed on the edges with PowderPuff Chalking Ink. The top of the box lid was also distressed with Royal Blue PowderPuff Chalking Ink.